The Seahawks needed to add depth at running back, and did so by draft Notre Dame running back C.J. Prosise. Personal: Prosise has an interesting backstory with football. He was recruited to Notre Dame as a defensive back and was one of the nation’s best safeties coming out of high school. But he switched to receiver early in his career and spent all of his sophomore and junior seasons in 2013 and 2014 at receiver. But when injuries and transfers thinned depth at running back, before the 2015 season, Prosise moved to another new position — running back. 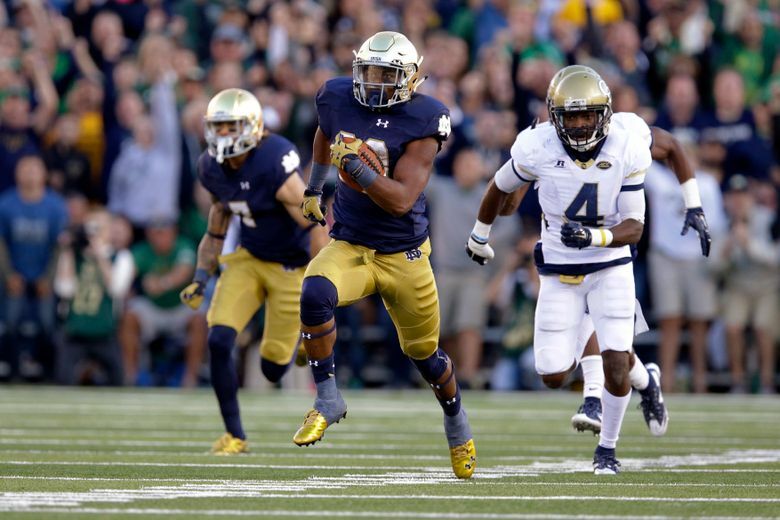 Scouting report: Because he spent only one season at running back, Prosise is raw. He is still learning the position. Prosise showed a knack for cutting, which is something the Seahawks want from their running backs. He also gives the Seahawks depth at running back. Thomas Rawls is still recovering from an injury, and though he looked promising as a rookie, it’s still unclear how the injury might affect him. The Seahawks also have Christine Michael, who improved in his second stint with the Seahawks but has to show he can be consistent over time. Prosise helps infuse the position with depth and therefore more competition.